Zerust ICT520-PV Film is soft, strong, flexible, padded and waterproof for superior corrosion protection in marine applications. Zerust® ICT®520-PV can be made at various thicknesses and converted into custom forms per client specifications. 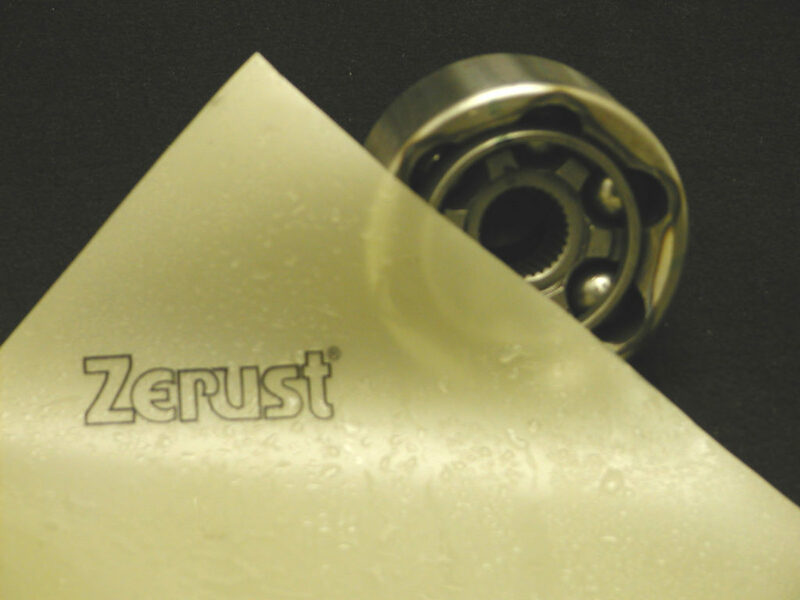 Zerust ICT520-PV Film is also reusable, non-abrasive and will not deteriorate. Use Zerust ICT520-PV Film to protect metal parts and components in marine or other tough applications where a combination of corrosion protection and waterproof protection is required. Available in bags and rolls of sheeting at various thicknesses. For more information, please contact a Customer Service Representative.